Surf n’ Stay - Extreme Algarve, Surfing & Kitesurfing Holidays, Lessons & Courses in Portugal, Surf camp and kite surf camps. 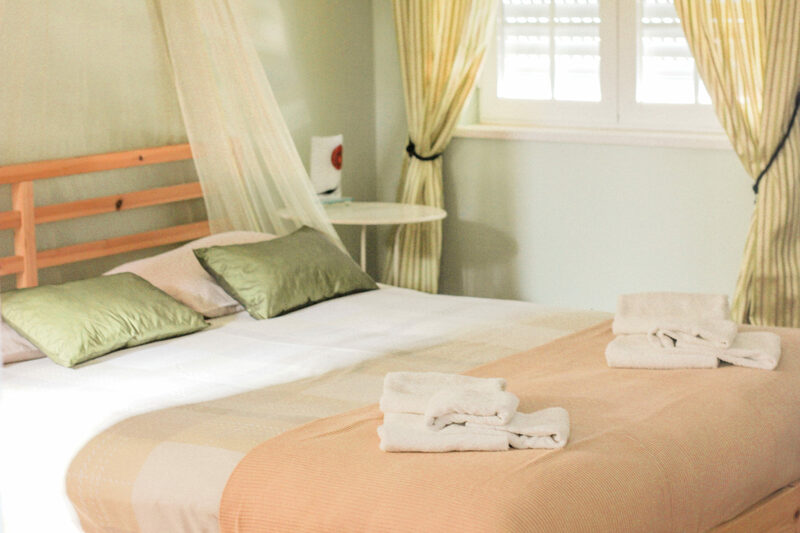 When you book an Extreme Algarve Surf n’ Stay surf camp, you’ll be staying in our very own surf lodge. Casa Offshore is perfectly located in central Lagos but away from the nightlife’s noises. Our lush garden with hot tub, swimming pool with sun loungers, covered lounge area and yoga space is the perfect chill-out spot after an active day of surfing. Prepare yourself a snack and hang by the pool before going out or cook up a storm in our fully equipped kitchen. Of course, no surf camp is complete without surfing! 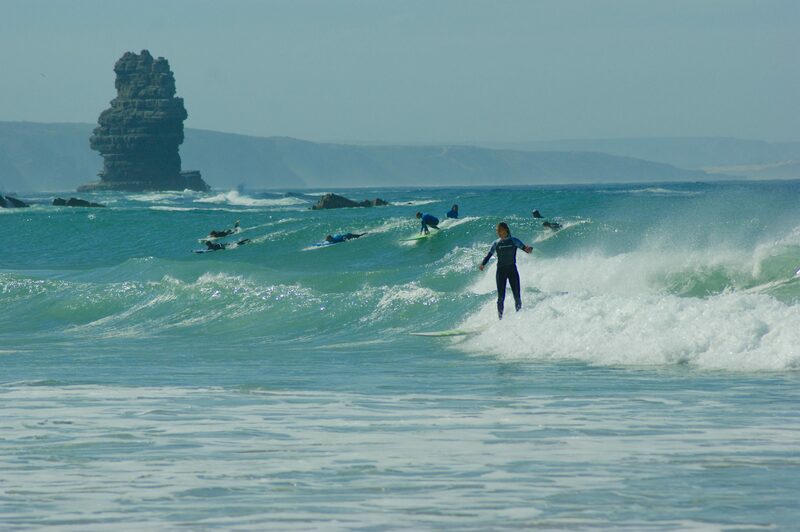 The south west Algarve is one of the only places in the world where you can surf all year round. Your daily surf lessons start at the casa where everyone gathers before we hit the road and explore the many beaches of the Algarve to find the best waves for that day. After 3 hours of surfing, a hearty picnic lunch and some beach time we’ll return you back home. 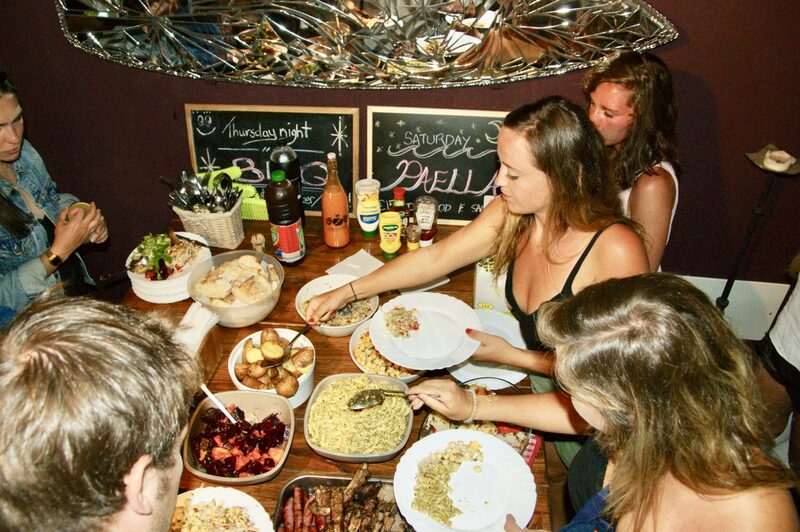 You’ll usually be back at camp around 4pm, right in time to get ready for dinner, a night out in town or a relaxed evening in with your fellow camp mates. At the Extreme Algarve surf camp everyone is welcome. Old or young, big or small, yellow or purple, we treat everyone the same. We do like a party, but we are not a typical party camp. Looking for a camp where it feels like you’re just hanging out at your friends’ place? Our Casa Offshore is the place for you! Our friendly staff (and dogs!) are happy to welcome you and make sure you have the holiday of your life. The Extreme Algarve surf instructors are all ASI (Academy of Surf Instructors), FPS (Portuguese Surf Federation) or similarly qualified and have surfed all over the world. We teach in groups of max 8 students per instructor. Beginner and intermediate surfers are taught on soft-top boards. Never surfed before? No worries, you are not alone! After some theory on the beach you’ll hit the white water with to practice the basics of catching and riding waves. You can start your Extreme Algarve surf camp any day of the week and book as many nights as you like with a two night minimum. We usually recommend a camp of 7 nights with 5 days surfing so you get the most out of your week but do have a day of rest in the middle to restore your strength and explore the amazing town of Lagos. Ready for your perfect Algarve surf camp?